WFTV is reaching into its past to try to secure a ratings win in the November sweep. Today and tomorrow — the last days of the sweep — Channel 9 is offering $5,000 to lucky morning news viewers. The reason? WFTV wants to keep the morning news crown, so it’s putting up the cash to try to turn the ratings race in its favor. 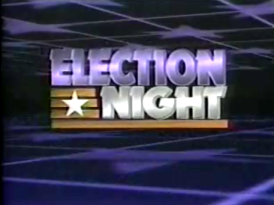 To longtime Orlando TV viewers, this should sound familiar. It’s the same stunt WFTV has used before — to hold off WESH. 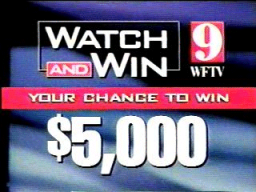 In February 2000, WFTV’s Eyewitness News trailed WESH’s “NewsChannel 2” newscast at 11 p.m. — until putting up a $5,000 “Watch and Win” promotion. Money talks. And if you have to pay people to watch your news, just how good is it? Another news channel for Orlando cable TV? Nice to see someone take a more critical look at how Bob Jordan has to resort to buying viewers. Put an asterisk next to that win. I get sick of reading the TV Guy talking about how great WFTV is all the time.